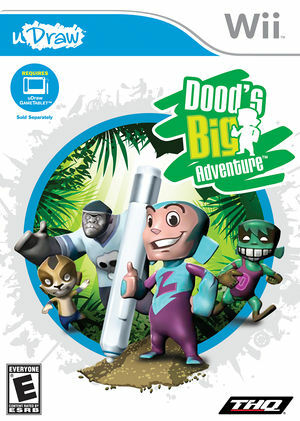 In Dood's Big Adventure, players will navigate their customizable Dood through 60 levels across four gameplay modes in a world where coloring books come to life and user-created doodles, characters and background art populates the in-game world. The uDraw GameTablet required by Dood's Big Adventure is not currently emulated by Dolphin. A real uDraw GameTablet and Wii Remote are required to play. Sometimes while in create mode the colors you're adding to characters will fall behind. To fix this, turn the texture cache setting to "Safe." Refer issue 10705. The graph below charts the compatibility with Dood's Big Adventure since Dolphin's 2.0 release, listing revisions only where a compatibility change occurred.